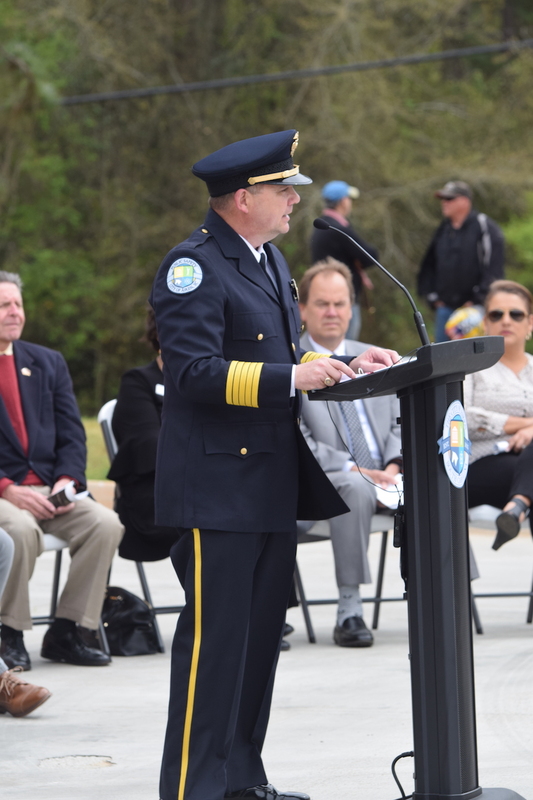 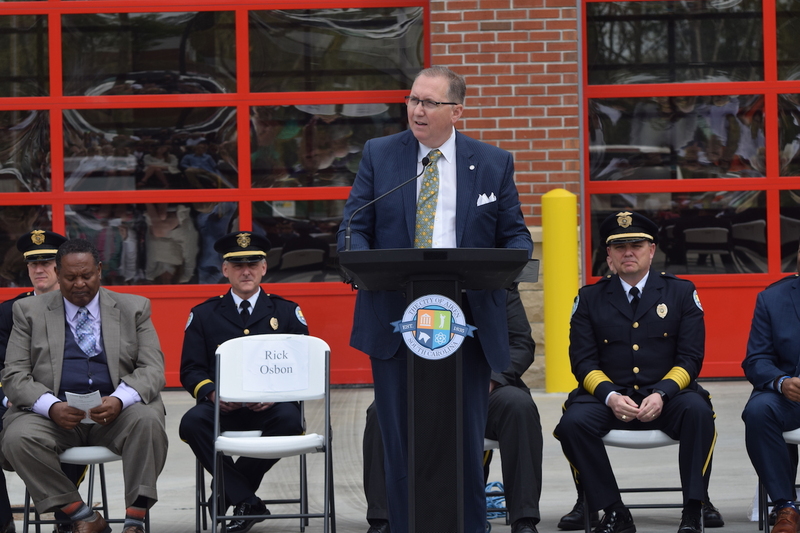 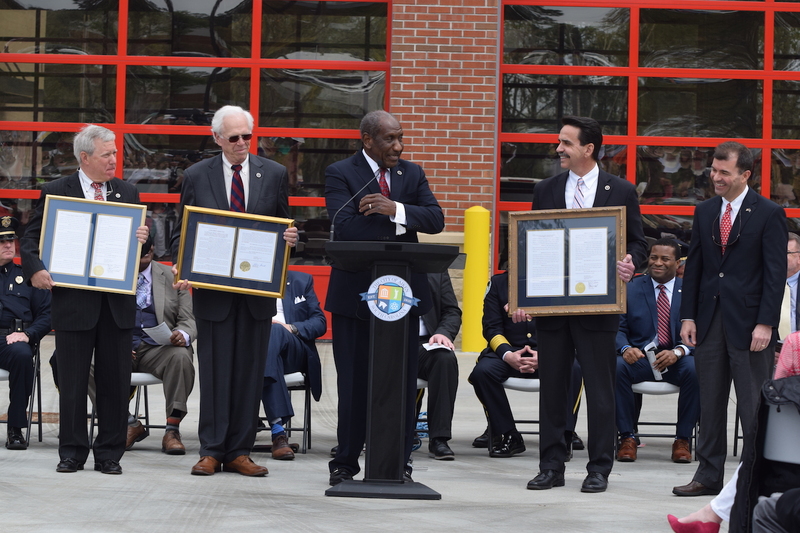 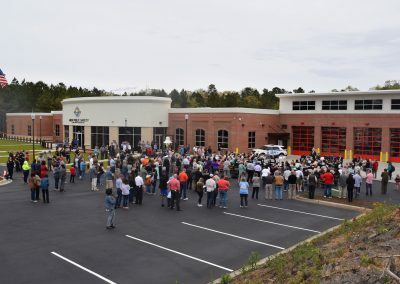 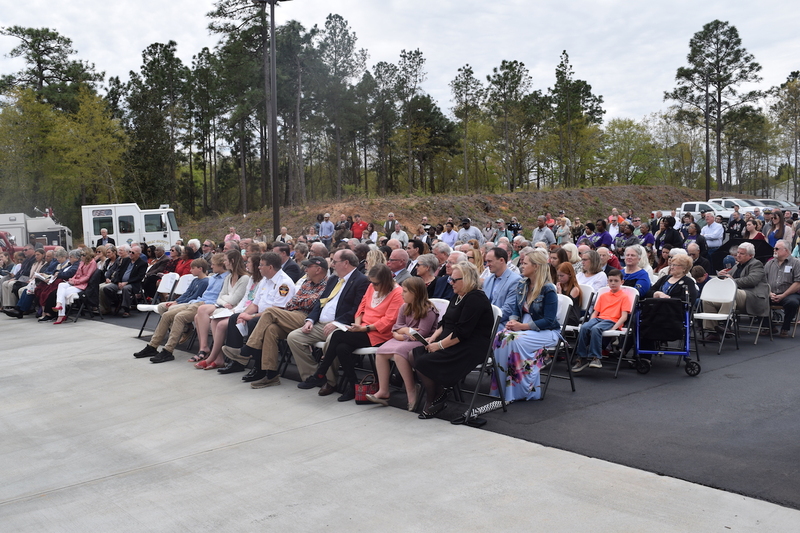 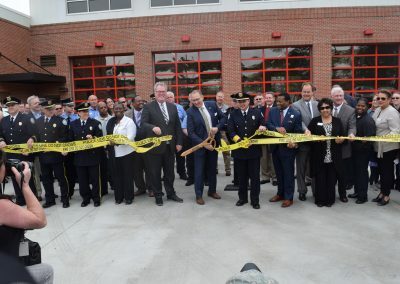 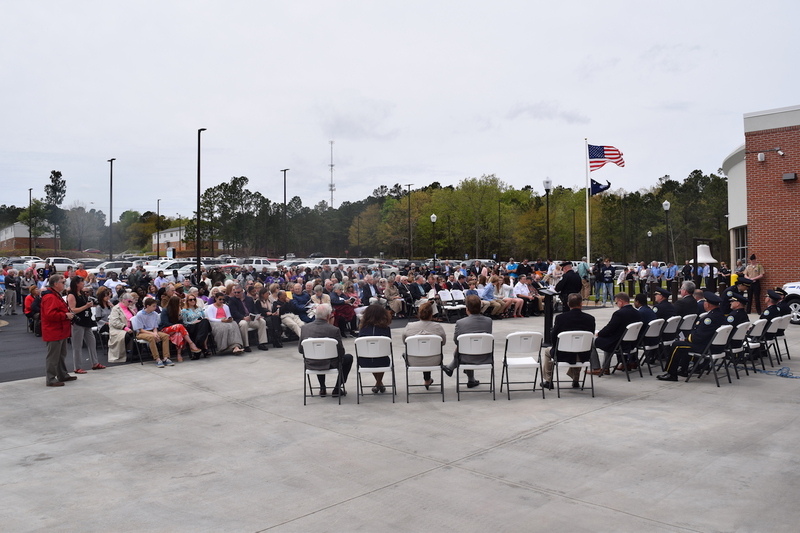 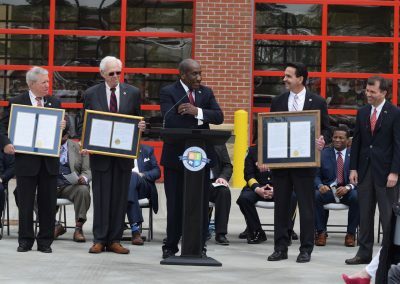 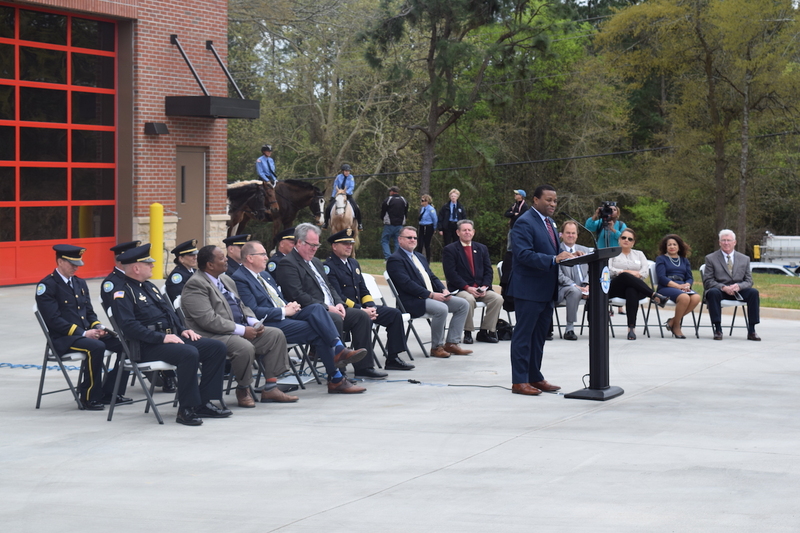 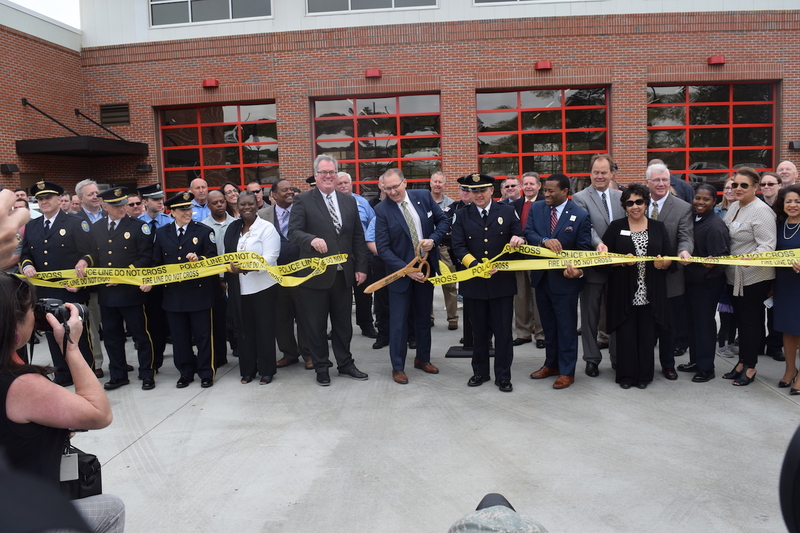 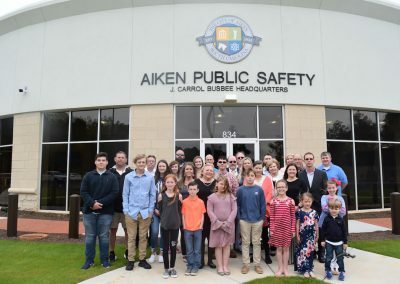 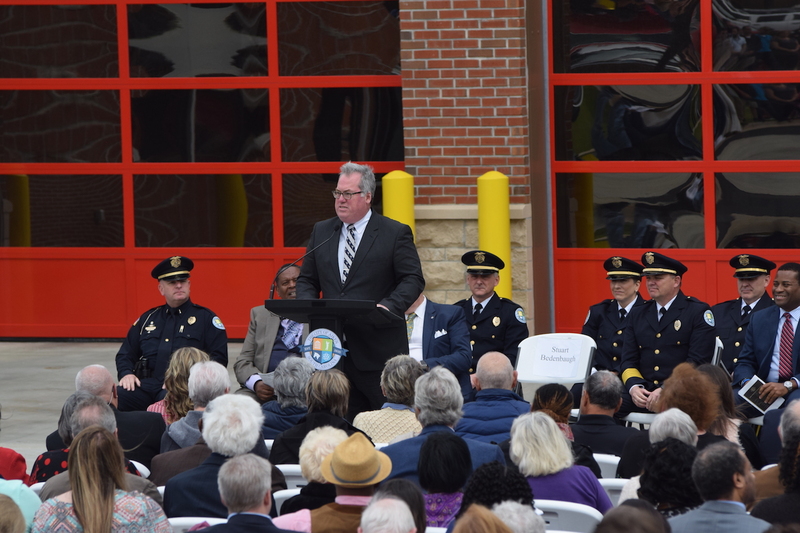 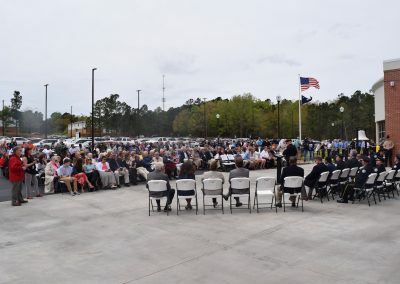 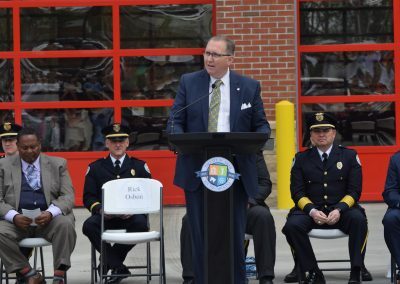 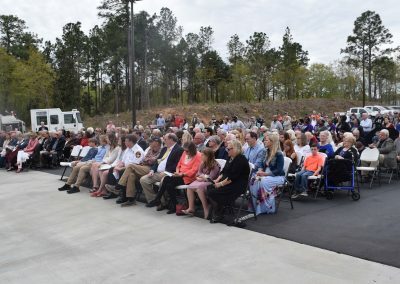 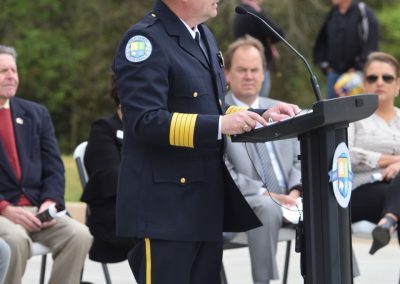 With over four hundred people in attendance, the official public ribbon-cutting ceremony for the J.Carrol Busbee Public Safety Headquarters named after former Chief J. Carrol Busbee took place on Sunday, March 31, 2019, at 2 pm. 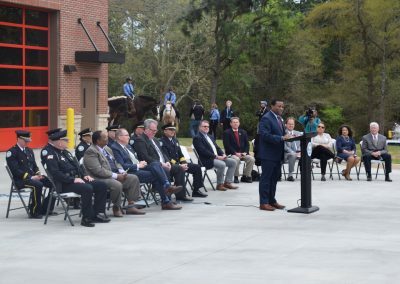 The guest speakers were Mayor Rick Osbon, City Manager Stuart Bedenbaugh, NAACP President Eugene White, and Public Safety Director Charles Barranco. Before the ringing of the historic bell that sits in front of the building, Lieutenant J. D. “Jake” Mahoney expounded on the legacy and past importance the bell held in the city of Aiken. 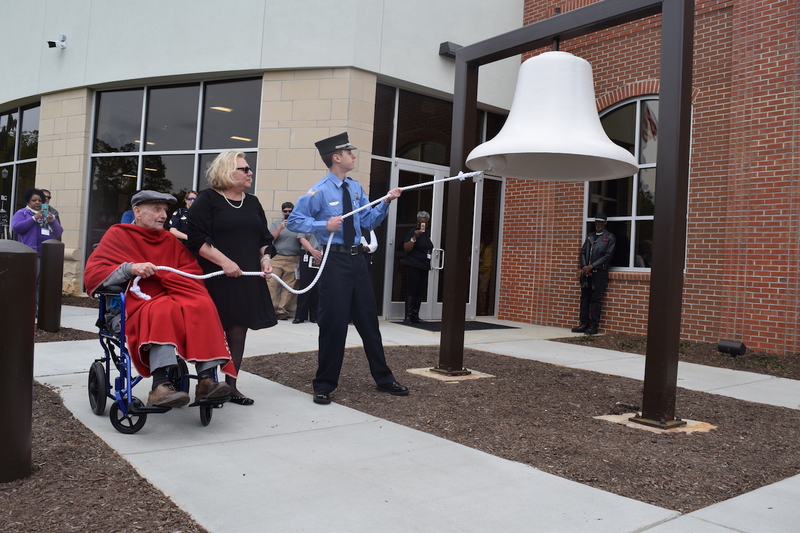 Followed next with a ceremonial ringing by Mrs. Rosemary Busbee, wife of the late former Chief J. Carrol Busbee, Chief Charlie Cupp who is the Senior Member of the Department Family (Served May 1954-December 1992), and Cadet Thomas Vine, the youngest member of the Department. 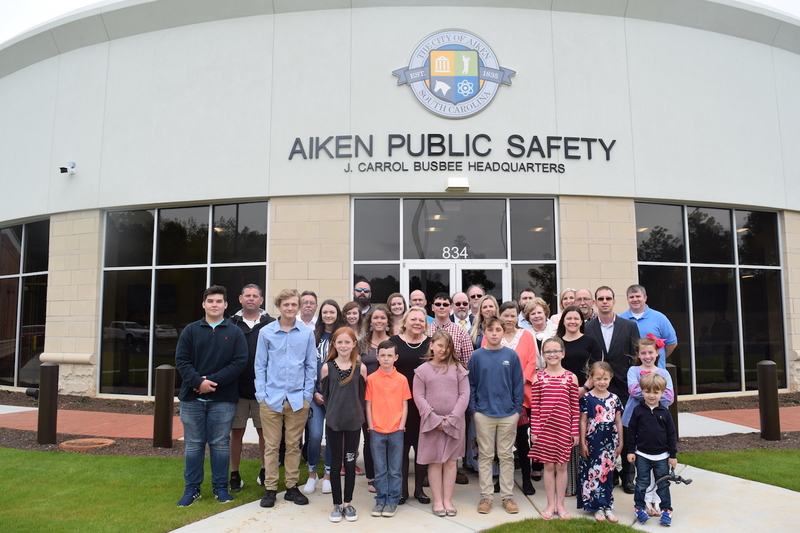 The recently built City of Aiken Public Safety Headquarters has been fully operational since Feb. 27. 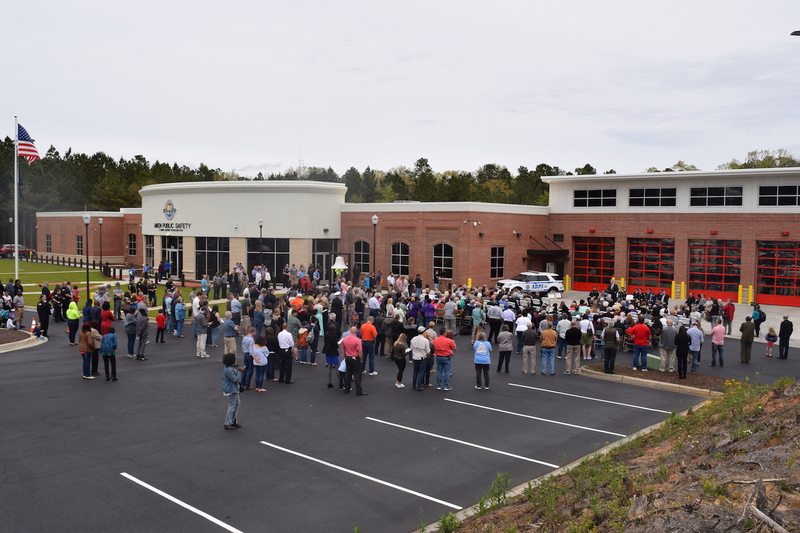 This state of the art facility is 46,000 square feet, including the City Police HQ, City Fire Department HQ, Courtroom and offices, emergency operations center/training facility and 911/Dispatch operations center. 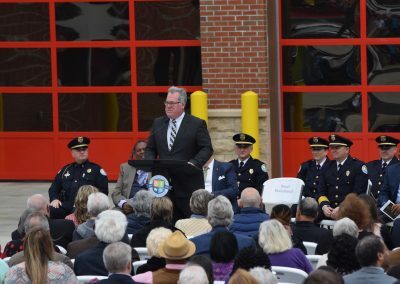 This facility is a combination of re-purposing and renovating an old grocery store location along with several new building additions.